The Sunset Bar and Grill is famous for having one of the most iconic restaurant views in Australia. It looks out over Cable Beach where the sun sets spectacularly over the water of the Indian Ocean. The restaurant is part of the beautiful Cable Beach Club Resort and Spa (read more here) however anyone can visit for a drink or a meal and watch the sunset. The Sunset Bar and Grill is open for breakfast and serves a full buffet menu with lots of choices. 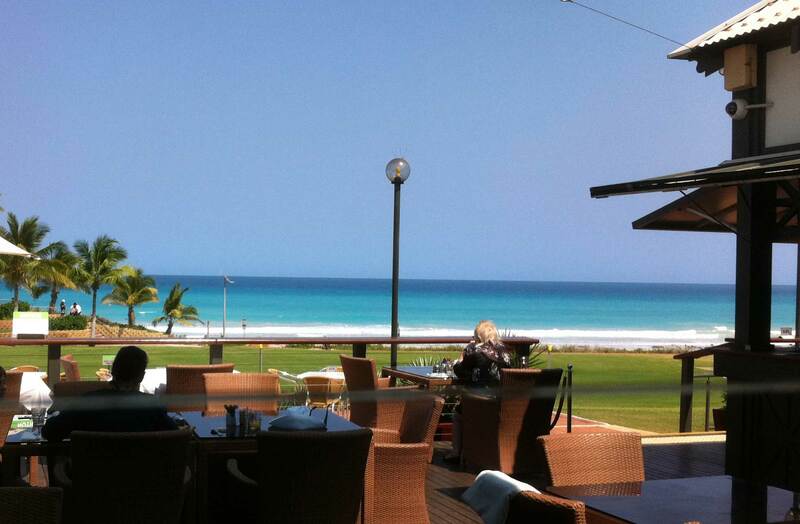 Its a relaxing way to start the day with beautiful views out over the aqua water and white sand of Cable Beach. Holiday Tip: One of my favourite activities in Broome is an early morning walk along Cable Beach from Gantheume Point, followed by a well earned breakfast at the Sunset Bar & Grill! 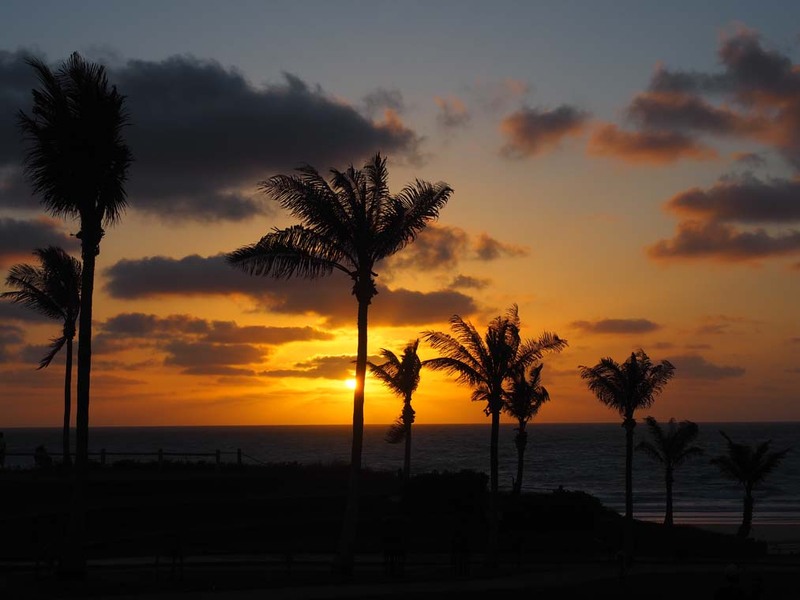 The restaurant has two sections open for dinner, the casual Sunset Bar and the more formal Sunset Grill which has table service. 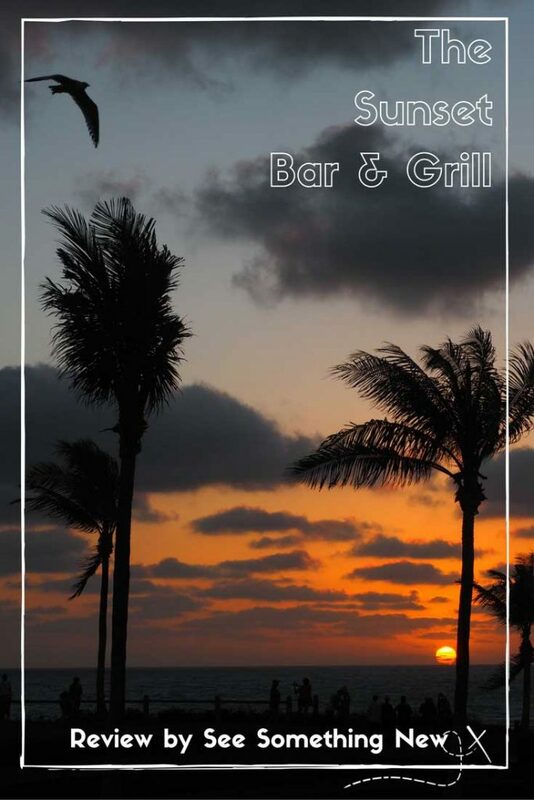 The Sunset bar generally opens a couple of hours before sunset and serves drinks and bar food. The drinks menu includes many of the signature cocktails they make at the other bars in the resort and the bar serves beer, wine & spirits. Snacks and bar meals are priced similar to what you would expect to pay at popular inner city bar around Australia. Snacks start from around $10 while meals are from approximately $21. There is no need to book a table however they are on first come basis. This means in busy season you are best to come a bit before sunset to get a seat. While the Sunset Grill is technically a more formal style of dining, it is still open to the outdoors and has a relaxed atmosphere. 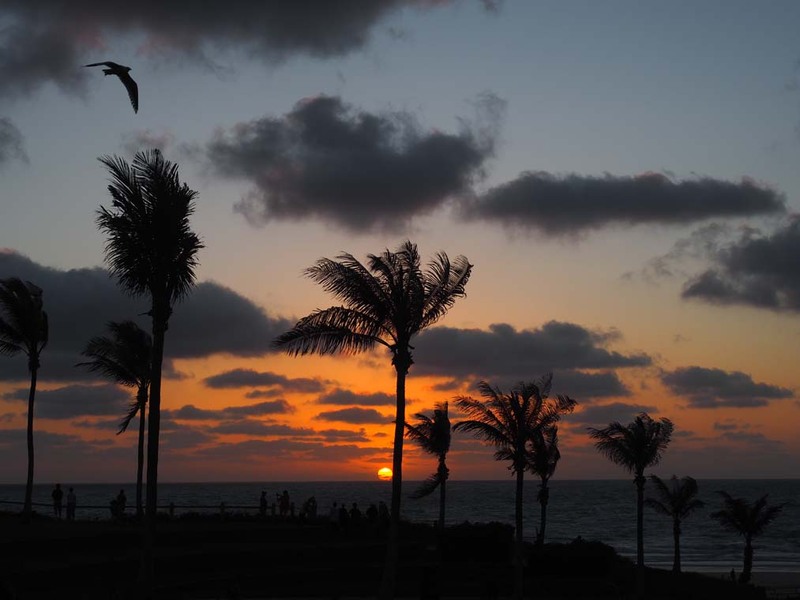 It is best to book a table in advance to ensure you can be seated with a view of the sunset. I found by booking in advance they were able to accommodate my request for a table at the front of the balcony. That been said, the views are good from nearly everywhere in the restaurant. The Grill a la carte menu has a large range of snacks, entrees, main and grill items. Expect to pay what you would for fine dining in another cities, with entrees starting form $11 and meals ranging up to around $150 for the Deluxe seafood platter for two. My sister and I visited in February 2016 (right at the end of the wet season) and we enjoyed it so much we ate there or called in for a drink nearly every night of our 6 day stay. 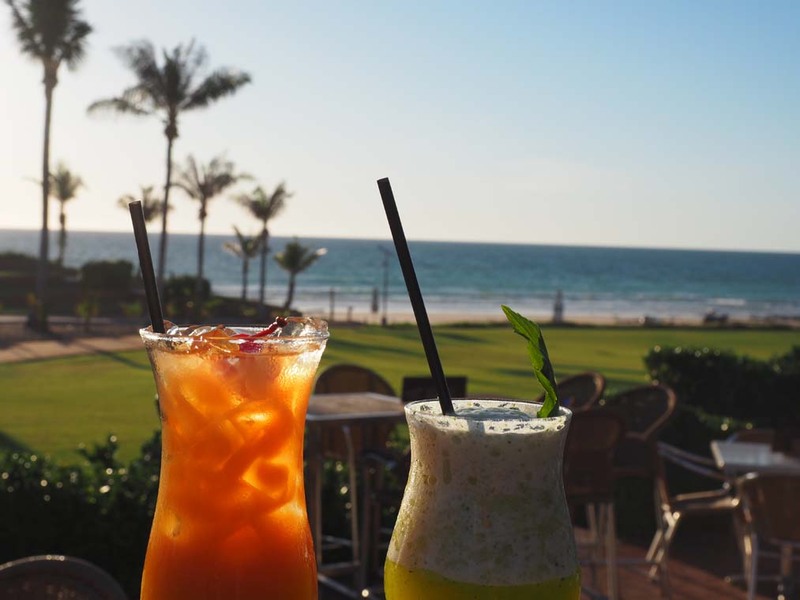 Location: We found it to be conveniently located as we were staying at Cable Beach Club Resort. Price: Both the bar and grill are priced on par with what I would expect to pay at a similar standard venue in my home town of Geelong or Melbourne. We found it was quite reasonable as we mostly shared an entree main meal like a Pizza so we could save room for dessert! We splashed out in the Grill on the last night and thought it was a special way to spend the last night of our trip. 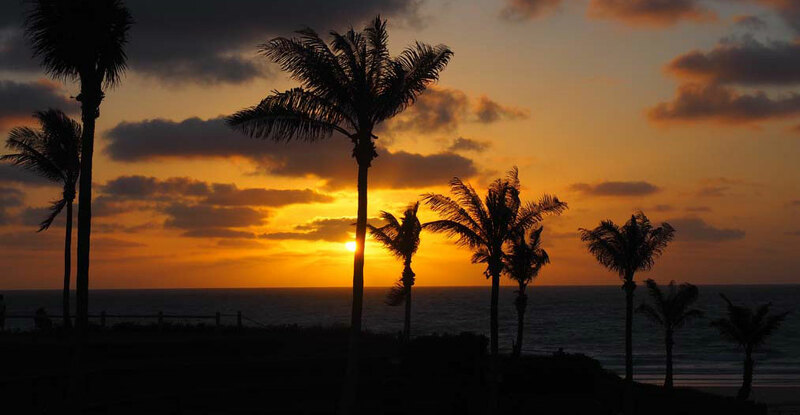 Atmosphere: Broome is a friendly town and the Sunset Bar & Grill is no exception with a relaxed tropical vibe to both parts of the restaurant. Dietary Requirements: The Grill caters well for vegetarians and gluten across all meal courses. They are also able accommodate other dietary requirements and allergies where possible. Call them and check if you have specific needs. Not so healthy choice: There are limited healthy options on the bar menu but this is pretty typical for a bar. If your a vegetarian who wants choice your best off in the Grill (I overcame the issue by eating lots of pizza). Ultimately I am a sucker for the view – I chase beautiful bushwalk, hotel and restaurant views all over Australia and the Sunset Bar & Grill is one of the best. 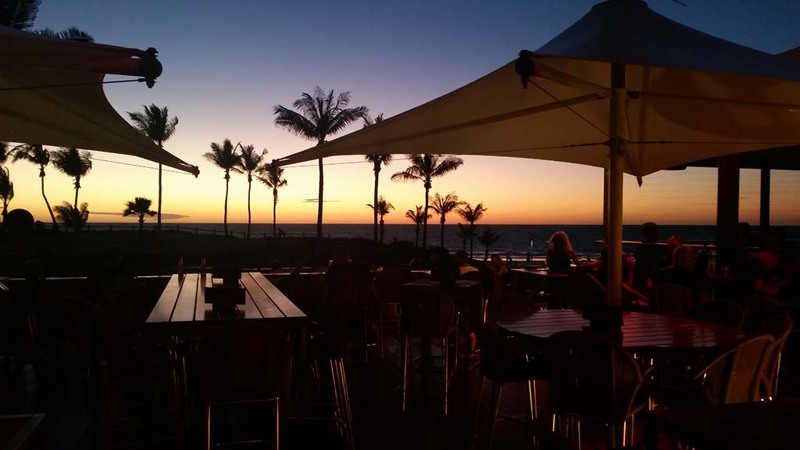 It’s not the only restaurant at Cable Beach, but it is my favourite, with the combination of quality food, relaxing atmosphere and gorgeous view proving irresistible. Pin this post so your remember for holidays!